These Orders of the National Assembly of Saint Christopher and Nevis may be cited as the Standing Orders of the National Assembly. “Supplementary Appropriation Bill” includes an Appropriation Bill as mentioned in the Finance Administration Act, Cap. 20.13. (1) The first meeting of a new session of the National Assembly shall be held on such day as the Governor-General shall appoint and thereafter the meetings of the National Assembly during any session shall be held on such days as the National Assembly may, from time to time, determine or in the absence of such decision, as the Speaker may direct. (2) The hour of meeting shall be 10 o’clock of the forenoon unless some other hour shall have been fixed by the Speaker. Provided that in the case of any emergency of which the Speaker shall be the sole judge, a meeting of the National Assembly may be summoned on such shorter notice as he or she may determine, and such notice may be given to members by such means as the urgency of the case permits. (4) When the National Assembly has adjourned to a specified date no further notice shall be necessary, unless such date shall be more than seven days after the adjourned sitting. (1) A meeting of the National Assembly may be adjourned at any time by the Speaker, or by a vote of the majority of the members present. (2) The Speaker may at any time suspend a meeting. (3) All matters under discussion and business not disposed of at the time of any adjournment shall stand as an Order of the Day for the next meeting of the National Assembly. MEMBERS AND OFFICERS OF THE NATIONAL ASSEMBLY. (1) Any member who is unable to attend a meeting of the National Assembly to which he or she has been summoned shall acquaint the Clerk as early as possible of his or her inability to attend. (2) If, without leave of the Speaker previously obtained, any member is absent from three consecutive meetings of the National Assembly during the same session, such member shall vacate his or her seat in accordance with the provisions of section 9 (3) (a) of the National Assembly Elections Act. (1) Except for the purpose of electing a Speaker and Deputy Speaker after a general election, no member of the National Assembly shall take part in the proceedings thereof until he or she has made and subscribed the oath or affirmation of allegiance in the form set out in the Appendix to these Standing Orders. (2) Immediately following the election of a Speaker and Deputy Speaker after a general election, the Clerk shall administer the oath first to the Speaker and Deputy Speaker and then to the other members. (3) At any other time, the oath shall be administered by the Clerk immediately after Prayers. (1) Whenever it is necessary in accordance with the provisions of section 10 (1) of the National Assembly Elections Act, for the National Assembly to elect a person to be Speaker, whether after a general election or when a vacancy in the office of Speaker has occurred in any other way, the procedure for the election shall be as provided in this Standing Order. (2) Any member, having first ascertained that the member or other person to be proposed is willing to serve if elected, may addressing himself or herself to the Clerk, propose any other member, or any other suitable person, to the National Assembly as Speaker. (3) The proposal shall require to be seconded, but no debate shall be allowed. (4) If only one person is so proposed, he or she shall be declared by the Clerk to have been elected. (5) If more than one person is so proposed, the National Assembly shall proceed to elect a Speaker by ballot. (g) a member who arrives after the names of the members have been called and before the Clerk has begun his or her examination of the ballot papers, shall be entitled to record his or her vote in the manner prescribed in this Standing Order. (1) Whenever there is a vacancy in the office of Deputy Speaker, the National Assembly shall, in accordance with section 10 (3) of the National Assembly Elections Act, proceed to elect a member to be Deputy Speaker. (2) The election of the Deputy Speaker shall be conducted in a similar manner to the election of the Speaker, save that the Speaker shall preside. 9.Presiding in the National Assembly and in Committee. (1) The Speaker, or in his or her absence the Deputy Speaker, or in their absence a member of the National Assembly (not being a member of the Cabinet elected by the National Assembly for the sitting, shall preside at the sittings of the National Assembly act as Chairperson of Committees of the whole National Assembly and exercise the powers vested in the “Speaker” under the provisions of the National Assembly (Powers and Privileges) Act, Cap. 2.04. (2) Save as otherwise provided in these Standing Orders, the Deputy Speaker, or other member presiding, shall have all the authority and power of the Speaker when presiding or otherwise performing the function of the Speaker. (3) The Speaker may, without any formal communication to the National Assembly or to the Committee, request the Deputy Speaker to take the Chair. (4) Whenever the unavoidable absence of the Speaker from any day’s sitting is announced by the Clerk at the Table, the Deputy Speaker shall take the Chair and shall be invested with all the powers of the Speaker until the next sitting of the National Assembly, or for twenty-four hours, whichever period is the shorter. (5) The Speaker in the National Assembly and the Chairperson in Committee shall have power to regulate the conduct of business in all matters not provided for in these Standing Orders. (1) The proceedings and debates of the National Assembly shall be in the English language. (2) Every petition shall be in the English language. 11. Duties of the Clerk. (1) The Clerk shall be responsible for keeping the minutes of proceedings of the National Assembly and of Committees of the whole National Assembly, which shall record the names of members attending, all decisions taken and details of every division held. (2) The Clerk shall submit the minutes of proceedings of each sitting to the Speaker for his or her signature and shall then circulate copies thereof to members before the commencement of the next sitting. (3) At the end of each session, the Clerk shall cause to be prepared and placed in the records of the National Assembly a bound volume containing the minutes of proceedings of that session, marked with all such corrections as the Speaker may have directed to be made therein. (4) The Clerk shall be responsible for preparing from day to day an Order Book showing all business appointed for any future day and any notices of questions or motions which have been set down for a future day whether for a day named or not given. (5) The Order Book shall be open to the inspection of members at all reasonable hours. (b) a Notice Paper containing all notices entered in the Order Book on the previous day if the National Assembly then sat, or, in the case of the first sitting after an adjournment over one or more days, all notices entered in the Order Book since the National Assembly last sat. (7) The Clerk shall send to each member and to the Minister two clear days at least before each meeting, a copy of the Order Paper for such meeting, unless the National Assembly shall have adjourned for a period of less than three days. (b) thereafter on any day (not being a Sunday) following that on which any new notice shall have been entered in the Order Book. (9) The Clerk shall be responsible for the custody of the votes, records, bills and other documents laid before the National Assembly, which shall be open to inspection by members of the National Assembly and other persons under such arrangements as may be sanctioned by the Speaker. (10) The Clerk shall attend upon any select committee of the National Assembly if required to do so. (1) The quorum of the National Assembly or of a committee of the whole National Assembly shall be as provided under section 17 of the National Assembly Elections Act. (2) When the attention of the Speaker or the Chairperson of a committee of the whole National Assembly has been drawn to the absence of a quorum an interval of ten minutes shall be allowed before the National Assembly or committee stands adjourned. 14. Contents of Public Business. (1) Public business shall consist of motions and public bills. (3) Government business shall consist of motions proposed to be made and bills sponsored by Ministers and shall be set down in such order as the Government think fit. (4) Private members business shall be set down on the Order Paper in the order in which it was entered in the Order Book. 15. Messages from the Governor-General. Notwithstanding the provisions of Standing Order 13, a message or minute from the Governor-General may be brought up at any time during a meeting, and shall be considered forthwith or ordered to be considered upon a future day as the Speaker may appoint. (1) Every paper shall be presented by a Minister or the Attorney-General and its presentation shall be recorded in the minutes of proceedings. (2) Such member presenting a paper may make a short explanatory statement of its contents. (3) All statutory instruments which do not require the approval of the National Assembly shall be laid on the table as soon as may be after being made. (4) All papers presented to the National Assembly shall be ordered to lie upon the table without question put and any motion for the printing thereof shall be determined without amendment or debate. (1) Every petition intended to be presented to the National Assembly shall conclude with a prayer setting forth the general object of the petition. (2) A petition shall not be presented to the National Assembly unless it shall have been endorsed by the Clerk as being in accordance with the rules in regard to petitions. (3) The member presenting a petition may state concisely the purport of the petition. (4) All petitions shall be ordered to lie upon the table without question put unless a member when presenting a petition move for it to be read, printed or referred to a Select Committee. (c) except on the recommendation of the Governor-General, certified by a Minister, which, in the opinion of the Speaker, requests that provision be made for imposing or increasing any charge on the revenues or other funds of the Government or for altering any such charge otherwise than by reducing it or for compounding or remitting any debt due to the Government. Subject to the provisions of these Standing Orders, questions may be put to Ministers relating to public affairs for which they are officially responsible. Provided that a question may be asked without notice if it is of an urgent character, or relates to the business of the day and the member has obtained the leave of the Speaker to ask it. (2) Notice of a question may be handed by a member to the Clerk when the National Assembly is sitting, or may be sent to or left at the office of the Clerk. (3) Every such notice must be signed by the member giving it. (4) A member who desires an oral answer to a question shall mark his or her notice with an asterisk and such a question shall be put down for a day to be named by the Speaker. (5) A question not so marked may be put down for the next sitting day of the National Assembly and the answer when received shall be circulated with the minutes of proceedings. (h) a question shall not solicit the expression of an opinion, or the solution of an abstract legal question, or of a hypothetical proposition. (b) that the question be entered in the Order Book with such alterations as he or she may direct. 21. Manner of Asking and Answering Questions. (1) At the time appointed for the asking and answering of questions under Standing Order No. 13 (Order of Business), the Speaker shall call in turn upon each member in whose name a question stands upon the Order Paper, in the order in which the questions are printed. (2) Each member so called shall rise in his or her place and ask the question by reference to its number on the Order Paper, and the Minister questioned shall give his or her reply. (3) Subject to the provisions of paragraph (6) of this Standing Order the answer to a question shall state only the relevant facts necessary to a reply and shall not contain accusations, discourteous statements or epithets, imputations, sarcastic or insulting references, ironical expressions or hypothetical cases. (4) Not more than three questions requiring an oral answer shall appear on the Order Paper in the name of the same member for the same day and any question in excess of this number shall not be called by the Speaker but shall be answered as provided in paragraph (5) of this Standing Order, save that no postponement shall be allowed. (5) Other questions shall be answered in writing by the Minister to whom the question was addressed and copies of the answer shall be sent to the Clerk, who shall send a copy to the member in whose name the question stood upon the Order Paper and cause the answer to be circulated with the minutes of proceedings. (6) After the answer to a question has been given supplementary questions may, at the discretion of the Speaker, be put for the purpose of elucidating the answer given but the Speaker may refuse any such question which in his or her opinion introduces matters not relative to the original question, or which infringes any of the provisions of Standing Order 20 (Contents of Questions), and may in that case direct that such question be not reported in the Official Report. (7) A Minister may decline to answer a question, if the publication of the answer would in his or her opinion be contrary to the public interest. With the leave of the Speaker, a member may make a personal explanation at the time appointed under Standing Order No. 13 (Order of Business) although there is no question before the National Assembly; but no controversial matter may be brought forward nor may debate arise upon the explanation. ADJOURNMENT OF THE NATIONAL ASSEMBLY. (1) Upon the conclusion of all business appointed at a sitting, the Speaker shall call upon a Minister to move “That this National Assembly do now adjourn” and upon that question being agreed to, the National Assembly shall adjourn. (2) A Minister may move “That this National Assembly do now adjourn” at any time after the conclusion of questions at any sitting but any other member may only move such a motion under Standing Order 24 (Adjournment on Matter of Urgent Public Importance). (3) Upon any motion “That this National Assembly do now adjourn” moved under paragraph (1) or paragraph (2) of this Standing Order, debate may take place in which any matter for which the Cabinet is responsible may be raised by any member who has obtained the right to raise a matter on the motion for the adjournment of the National Assembly that day. (4) In any such debate any Minister may speak more than once in reply to members raising matters. (5) Any member who wishes to raise a matter under the provisions of paragraph (2) of this Standing Order at a particular sitting shall give notice of the matter in writing to the Speaker not less than three days before the sitting concerned. 24. Adjournment on Matter of Urgent Public Importance. (1) A motion for the adjournment of the National Assembly shall not be made until Public Business has been entered upon, except it be made on behalf of the Government, or unless a member rise in his or her place at the end of Questions, and ask leave to move the adjournment of the National Assembly for the purpose of discussing a definite matter of urgent public importance. (2) A member who wishes so to ask leave to move the adjournment of the National Assembly shall, before the commencement of the sitting, hand to the Speaker a written notification of the matter which he or she wishes to discuss. (b) the leave of the majority of the National Assembly be obtained for the motion. (4) If the Speaker is satisfied that the motion may properly be made, and the leave of the National Assembly in that behalf is granted, the motion shall be considered forthwith. (5) Not more than one such motion shall be made at the same sitting; and not more than one matter shall be discussed on the same motion. (1) The procedure in respect of motions shall be in accordance with section 20 (2) (b) of the National Assembly Elections Act, that is to say, except on the recommendation of the Governor-General signified by a Minister the National Assembly shall not proceed upon any motion the effect of which, in the opinion of the Speaker, would dispose of or charge any public revenue or funds of the territory or alter any disposition thereof or charge thereon or impose, alter or repeal any rate, tax or duty. (2) The signification made by a Minister shall be recorded in the minutes. (3) A motion shall not contain mere personal opinions or controversial allegations unnecessary to the main issue upon which the National Assembly is being moved to declare its will. Except as hereinafter provided no member shall move a motion unless he or she shall have given notice in writing of such motion either at some previous sitting of the National Assembly or to the Clerk in writing not less than three days previous to the hour of sitting of the National Assembly at which such motion is to be made. (1) Where under any Standing Order notice is required such notice shall be given in writing, signed by the member and addressed to the Clerk. (2) Such notice shall be handed to the Clerk or sent to, or left at, the Clerk’s Office. (b) that the notice of motion be entered in the Order Book with such alterations as he or she may direct. (4) Not more than three notices of motion in the name of the same member other than a Minister may be entered on the Order Paper of any sitting. (n) any motion under section 14 of the Customs Tariff Act, Cap. 20.06 or any provision substituted for the same. Where a motion or any other proceeding of the National Assembly is one that requires notice, such notice may not be dispensed with except with the consent of the Speaker and the assent of the majority of members present at the time. (b) in committee a seconder shall not be required. 31.Motions not Moved or Seconded. Provided that government business may be moved by any Minister. (2) No question shall be proposed upon a motion or amendment, which under these Standing Orders is required to be seconded, if it is not so seconded, and no record of proceedings upon the motion or amendment shall be entered in the minutes of proceedings. (1) A motion directly concerning the privileges of the National Assembly shall take precedence of all other public business. (2) If during a sitting of the National Assembly a matter suddenly arises which appears to involve the privileges of the National Assembly and which calls for the immediate intervention of the National Assembly, the proceedings may be interrupted, save during the progress of a division, by a motion based on such matter. 33. Proposal of Motion by Speaker. (1) On a motion made and when necessary seconded, the Speaker shall propose the question to the National Assembly, and after debate, if any, shall put the question for the decision of the National Assembly. (2) If a motion embodies two or more separate propositions, the propositions may be proposed by the Speaker as separate questions. (3) If a member desires to vary the terms of a motion standing in his or her name, he or she may do so by giving an amended notice of motion, provided that such amendment does not, in the opinion of the Speaker, materially alter any principle embodied in the original motion or scope thereof. (4) Such amended notice of motion shall run from the time at which the original notice of motion was given. (1) The Speaker may require the mover of an amendment which has been seconded to put the amendment into writing and deliver it to the Clerk. (2) An amendment must be relevant to the question to which it is proposed. (3) An amendment shall not raise any question which can be raised only by a distinct motion after notice. (4) After a decision has been given on an amendment to any part of a question an earlier part cannot be amended. (5) Where an amendment of any part of a question has been proposed, an earlier part cannot be amended unless the amendment so proposed is withdrawn. (6) An amendment to a question must not be inconsistent with a previous decision on the same question given at the same stage of any bill or matter. (7) An amendment must not be substantially identical with an amendment moved by another member. (8) An amendment must not be substantially a direct negative of the original proposition or of any amendment thereto. (9) An amendment may be moved to any amendment. 35. Order of Putting Question on Amendment. (1) When an amendment to a question shall have been submitted, and when more amendments than one shall have been submitted, the Speaker, at the close of the debate, shall put the question for the decision of the National Assembly in this wise: “That the words of the question stand as in the original motion” which, if it be decided in the affirmative will throw out all amendments; and he or she shall then put the original motion to be affirmed or negatived. (2) If the first question which would preclude all amendments be negatived, then, in case only one amendment shall have been proposed and seconded, he or she shall put the question as it was proposed to be amended; but in case more amendments than one shall have been proposed and seconded he or she shall put the questions of amendment seriatim and in the inverse order of their having been proposed; and when any one amendment is affirmed all other amendments shall be thereby negatived, and the Speaker shall then put the motion, as so amended, to be affirmed or negatived. The Speaker shall be the sole judge of the admissibility of any amendment. (1) A motion may be withdrawn at the request of the mover, after it has been moved, by leave of the National Assembly or Committee before the question is fully put thereon. (2) A motion so withdrawn may be made again provided that notice as required by these Standing Orders is given. (3) If an amendment has been proposed to the question the original motion cannot be withdrawn until the amendment has been disposed of. No motion shall be proposed which is the same in substance as any motion which shall have been resolved by the National Assembly in the affirmative or negative during the previous six months. 39. Time and Manner of Speaking. (1) A member desiring to speak shall rise in his or her place and if called upon shall address the Chair. (2) No member shall speak unless called upon by the Speaker or Chairperson. (3) If two or more members rise at the same time, the Speaker or Chairperson shall call upon the member who first catches his or her eye. “Mr. Speaker, I second the motion”. (5) A member who has spoken on a question may, with the Speaker’s permission, again be heard to offer explanation of some material part of his or her speech which he or she claims has been misrepresented, but he or she shall not introduce new matter. (6) A member who has spoken may speak again when a new question has been proposed by the Speaker or Chairperson, such as a proposed amendment or a motion for the adjournment of the debate. (7) A member shall not read his or her speech but he or she may read extracts from books or papers in support of his or her argument, and may refresh his or her memory by reference to notes. (8) No member may speak on any question after it has been fully put to the vote by the Speaker or Chairperson, that is, after the voices of the ayes and the noes have been collected. 40. Time Limits of Speeches. (1) A member moving a motion shall not speak for more than two hours on such motion unless he or she requests and obtains an extension of time after this period has elapsed. (2) On such request being made, the Speaker shall, without debate, put the Member’s request to the National Assembly and if there is a majority of votes in favour thereof, the Speaker shall permit the member to speak for a further period not exceeding thirty minutes. (3) A member other than a member moving a motion shall not speak for more than one hour on such motion unless he or she requests and obtains an extension of time, in the manner prescribed by paragraphs (1) and (2) after this period has elapsed and thereupon the Speaker shall permit him or her to speak for a further period not exceeding thirty minutes. (4) In a debate on the annual financial statement and budgetary proposals subject to paragraph (5) hereof, a member shall not speak for more than ninety minutes unless he or she requests and obtains an extension of time in the manner prescribed by paragraphs (1) and (2) after this period has elapsed and thereupon the Speaker shall permit him or her to speak for a further period not exceeding thirty minutes. (5) The time limit specified in paragraph 3 shall not apply to the Minister of Finance, and the member speaking first on behalf of the Opposition shall be entitled to speak for an equal period of time as the Minister of Finance provided however that this period shall not be less than two hours. (1) The mover of a motion may reply after all the other members present have had an opportunity of addressing the National Assembly and before the question is put, and after such reply no other member may speak, except as provided in paragraph (2) of this Standing Order. (2) A Minister may conclude a debate on any motion which is critical of the Government, or reflects adversely on or is calculated to bring discredit upon the Government or a Government Officer. No member shall interrupt another member except by rising to a point of order, when the member speaking shall resume his or her seat and the member interrupting shall simply direct attention to the point which he or she desires to bring to notice and submit it to the Speaker or Chairperson for decision. (1) Reference shall not be made to any matter which is sub judice, in such a way as might in the opinion of the Chair prejudice the interests of parties thereto. (2) It shall be out of order to attempt to reconsider any specific question upon which the National Assembly has come to a conclusion during the current session except upon a substantive motion for rescission. (3) It shall be out of order to use offensive and insulting language about members of the National Assembly. (4) Members shall be referred to by the names of the constituency for which they have been elected. (5) No member shall impute improper motives to any member of the National Assembly. (6) The name of Her Majesty or the Governor-General shall not be used to influence the National Assembly. (7) The conduct of Her Majesty and Members of the Royal Family shall not be called in question. (8) The conduct of the Governor-General, members of the National Assembly, Judges of the Eastern Caribbean Supreme Court shall not be raised except upon a substantive motion moved for the purpose. (9) The conduct of Officers administering the Government in other unit territories of the West Indies and of all Judges in those territories (except Judges of the Eastern Caribbean Supreme Court) shall not be raised in debate. (1) Debate upon any motion, bill or amendment shall be relevant to such motion, bill or amendment, except in the case of a motion for the adjournment of the National Assembly. (2) When an amendment proposes to leave out words and to add or insert other words instead of them, debate upon the question “That the words proposed to be left out be left out of the question” may include both the words proposed to be left out and those proposed to be added or inserted. (3) On an amendment proposing only to leave out words or to add or insert words, debate shall be confined to the omission, addition or insertion of such words, respectively. (4) Debate upon any motion “That the debate be now adjourned,” or “That this National Assembly do now adjourn” if moved during any debate, or in committee upon any motion “That the Chairperson do report progress and ask leave to sit again”, shall be confined to the matter of such motion; and a member who has made or seconded such motion shall not be entitled to move or second any similar motion during the same debate. (1) It shall be out of order to anticipate a bill by discussion upon a motion dealing with the subject matter of that bill. (2) It shall be out of order to anticipate a bill or a notice of motion by discussion upon an amendment or a motion for the adjournment of the National Assembly. (3) In determining whether discussion is out of order on the grounds of anticipation, regard shall be had by the Chair to the probability of the matter anticipated being brought before the National Assembly within a reasonable time. (1) After a question has been proposed any member may at any time during the course of debate rise in his or her place and claim to move “That the question be now put” and unless it appears to the Chair that that motion is an abuse of the rules of the National Assembly or an infringement of the rights of the minority, the question “That the question be now put” shall be put forthwith. (2) No debate on that motion shall be allowed, and if the motion is carried, the debate then before the National Assembly shall cease and the question before the National Assembly shall be put forthwith. (3) When the motion “That the question be now put” has been carried, and the question consequent thereon has been decided, any member may claim that any other question already proposed from the Chair be now put and if the assent of the Chair is given such question shall be put forthwith and decided without amendment or debate. 47. Rules for Members not Speaking. (d) shall otherwise conduct himself or herself in fit and proper manner. 48. Responsibility for Order in the National Assembly and in Committee. (1) The Speaker in the National Assembly and the Chairperson in Committee shall be responsible for the observance of the rules of order in the National Assembly and Committee, respectively, and their decision upon any point of order shall not be open to appeal and shall not be reviewed by the National Assembly except upon a substantive motion made after notice. (2) When the Speaker, or Chairperson, rises any member then speaking or wishing to speak shall immediately resume his or her seat and the National Assembly, or the Committee, shall be silent. 49. Order in the National Assembly and in the Committee. (1) The Speaker or the Chairperson, after having called the attention of the National Assembly, or of the Committee, to the conduct of a member who persists in irrelevance, or tedious repetition either of his or her own arguments, or of the arguments used by other members in debate, may direct him or her to discontinue his or her speech and to resume his or her seat. (2) The Speaker or the Chairperson shall order any member whose conduct is grossly disorderly to withdraw immediately from the National Assembly during the remainder of that day’s sitting, and may direct such steps to be taken as are required to enforce this Standing Order. (3) But if, on any occasion, the Speaker or the Chairperson considers that his or her powers under the previous provisions of this Standing Order are inadequate, the Speaker or Chairperson may name such member for disregarding the authority of the Chair under this Standing Order, in which event the procedure prescribed in the next succeeding paragraph should be followed. (a) if the offence has been committed in the National Assembly, the Speaker shall call upon a Minister to move “That the Mr………………………………………………………………………………………..
(c) if any such motion be carried, and a member be suspended, his or her suspension on the first occasion shall continue until the expiration of the fifth day, and on the second occasion until the expiration of the tenth day, on which the National Assembly sits after the day on which he or she was suspended, and on the third or any subsequent occasion until the National Assembly resolves that such suspension be terminated. (5) Not more than one member shall be named at the same time, unless several members present together have jointly committed the offence. (6) A member who is directed to withdraw or who is suspended under this Standing Order shall forthwith leave the National Assembly and its precincts. (7) If any member who has been directed to withdraw or who has been suspended under this Standing Order, refuses at any time to obey the direction of the Speaker to withdraw from the National Assembly and its precincts, the Speaker shall call the attention of the National Assembly to the fact that recourse to force is necessary in order to compel obedience to his or her direction, and the member named by him or her as having so refused to obey his or her direction shall thereupon without further question put be suspended from the service of the National Assembly during the remainder of the session. (8) The Speaker may request any officer of the National Assembly to remove forcibly any member thus named who still refuses or fails to leave the National Assembly and may if he or she deems it necessary suspend the sitting during the removal of the member. (9) A member who is directed to withdraw or is removed or suspended under this Standing Order shall not be entitled to attend the sitting from which he or she was thus debarred or in a case of suspension to attend any sitting or enter the precincts of the National Assembly until the termination of his or her suspension. (10) Cases of contempt by members of the National Assembly as specified in section 14 of the National Assembly (Powers and Privileges) Act, Cap. 2.04 shall be dealt with in accordance with the provisions of sections 14 and 15 of that Act. (11) In the case of grave disorder arising in the National Assembly, the Speaker may, if he or she thinks it necessary to do so, adjourn the National Assembly without question put, or suspend the sitting for a time to be named by him or her. (12) Nothing in this Order shall be taken to deprive the National Assembly of the power of proceeding against any member according to any resolution of the National Assembly. (1) Save as otherwise provided in the National Assembly Elections Act, Cap. 2.01 or in these Standing Orders all questions proposed for decision in the National Assembly or in Committee shall be determined by a majority of the votes of those present and voting. (2) Neither the Speaker nor any other member presiding shall vote unless the votes of the other members are equally divided in which case he or she shall give a casting vote. (1) A member shall not vote on any subject in which he or she has a direct personal pecuniary interest, but a motion to disallow a member’s vote on this ground shall be made only as soon as the result of the voting on the question shall have been declared. (2) If the motion for the disallowance of a member’s vote shall be agreed to, the Speaker, or in Committee the Chairperson, shall direct the Clerk to correct the numbers voting in the division accordingly. (3) In deciding whether a motion for the disallowance of a member’s vote shall be proposed from the Chair, the Speaker, or in any Committee of the National Assembly the Chairperson, shall have regard to the character of the question upon which the division was taken and to the consideration whether the interest therein of the member whose vote is challenged is direct and pecuniary and not an interest in common with the rest of the Crown’s subjects and whether his or her vote was given on a matter of state policy. (1) At the conclusion of a debate upon any question the Speaker or Chairperson shall put that question for the decision of the National Assembly, and shall collect the voices of the ayes and of the noes, after which no further debate may take place upon that question. (2) The result shall be declared by the Speaker or Chairperson stating “I think the ayes have it” or “I think the noes have it” as the case may be, but any member may challenge the opinion of the Chair by claiming a division. (1) A division shall be taken by the Clerk calling each member’s name and asking each member separately how he or she desires to vote and recording the vote accordingly. (2) The Clerk shall then announce the number of those who have voted for and of those who voted against the proposal and the Speaker or Chairperson shall declare the result of the division. (3) Every member present shall record his or her vote either for the ayes or the noes. (4) The Clerk shall enter in the minutes of proceedings the record of each member’s vote. (5) If a member states that he or she voted in error or that his or her vote has been counted wrongly, he or she may claim to have his or her vote altered provided that such claim is made as soon as the Clerk has announced the numbers and before the Chair has declared the result of the division. (6) Upon such claim being made the Speaker, or Chairperson, at his or her sole discretion shall either direct the Clerk to alter that member’s vote or direct that a fresh division be held. (7) Any member voting in the minority who desires to have his or her reasons recorded for so voting shall state such desire forthwith, and his or her reasons shall be recorded either at that or the following meeting of the National Assembly. Except on the recommendation of the Governor-General signified by a Minister, the National Assembly shall not proceed upon any bill (including an amendment to a bill) which, in the opinion of the Speaker would dispose of or charge any public revenue or funds of this territory or alter any disposition thereof or charge thereon or impose, alter, or repeal any rate, tax or duty. 55. Introduction and First Reading. (1) No bill shall be introduced until leave for its introduction shall have been applied for and granted. (2) If the motion for leave is opposed the Speaker, after permitting (if he or she thinks fit) a brief explanatory statement from the member who moves and from a member who opposes the motion, may without further debate, put the question thereon. (3) If leave to introduce the bill be granted, the bill may be introduced, and shall be read a first time by the Clerk. After having been read a first time a bill shall, if it has not already been published in the Gazette, be so published whenever such publication is practicable. 57. Suspension of Standing Rules for Further Reading of Bill. Every bill shall be read three times previous to its being passed, and no bill shall pass through more than two readings at any one sitting, unless this Standing Order shall have been formally suspended for the purpose. (1) The member moving the second reading of a bill shall state the object of the bill and the reasons for its introduction and when a motion for the second reading of a bill has been made and seconded there may be a debate upon the general merits and principles of the bill. (2) To the question “That the bill be now read a second time” an amendment may be proposed to leave out the word “now” and add at the end of the question “upon this day six months”, or an amendment may be moved to leave out all the words after the word “that” in order to add words stating the object and motive on which the opposition to the bill is based, but such words must be strictly relevant to the bill and not deal with its details. (3) If the motion “That the bill be now read a second time” is carried the bill shall stand referred to a committee of the whole National Assembly to consider the bill clause by clause, and amend it in such manner as may be deemed necessary, unless at this stage of the proceedings the National Assembly on motion made decides that the bill shall be referred to a Select Committee. (4) Such motion shall not require notice and must be made immediately after the bill has been read a second time and the question thereon shall be put without amendment or debate. (5) When a bill has been committed to a Select Committee, no further proceedings shall be taken thereon until the Select Committee has presented its report to the National Assembly. (1) When a Bill is under consideration in committee unless the committee decides to have the bill read in any other manner the Clerk shall call the several clauses in order, by reading the number of each clause and shall then refer to the schedules, if any, in order, next the preamble, if any, and lastly the title. (2) If it is proposed to move any amendment on a clause or schedule when called, the Clerk shall put them in their proper order. (3) If the clause (or the schedule or the preamble or the title, as the case may be) is not amended, the Speaker shall without motion put the question “That this clause (or this schedule or the preamble or the title, as the case may be) do stand part of the bill”. (4) If the clause (or the schedule or the preamble or the title, as the case may be) is amended, he or she shall put the question “That this clause (or this schedule or the preamble or the title, as the case may be) as amended, do stand part of the bill”. (5) In settling a bill in Committee any member may move an amendment, or, without making a formal motion, may suggest an amendment, or may ask for information respecting any part of the bill or proposed amendment. (6) An amendment must be relevant to the subject matter of the bill, and to the subject matter of the clause to which it relates. (7) An amendment must not be inconsistent with any previous decision of the Committee. (8) An amendment must not be such as to make the clause which it proposes to amend unintelligible or ungrammatical. (9) If an amendment refers to, or is not intelligible without, a subsequent amendment or a schedule, notice of the subsequent amendment or schedule must be given before, or when the first amendment is moved so as to make the series of amendments intelligible as a whole. (10) An amendment which proposes to amend the whole substance of a clause for the purpose of inserting different provisions will as a general rule be irregular, and the proper course will be to negative the clause and propose a new one in its place. (11) The Speaker may refuse to put an amendment which is, in his or her opinion, frivolous. (12) A bill may be referred to a Select Committee at any time after it shall have passed its second reading. (13) When a bill has been referred to, and reported on, by a Select Committee and it is certified by the Chairperson of such a Committee that such bill has been considered clause by clause in the presence of a quorum of the members of such Committee at least, and that in the opinion of the Committee such bill may be dealt with by the National Assembly in the same manner as a bill reported on by a Committee of the whole National Assembly, such bill may be dealt with accordingly if no member objects, but if any member objects the bill shall be dealt with in the usual manner. (14) The consideration of a clause may, on motion made, be postponed, but the motion may not be made after the clause has been amended. (15) New clauses shall be considered after the clauses in the bill as printed have been disposed of and before the consideration of the schedules, if any. (16) Notice of a proposed new clause shall be given previous to the sitting unless the Chairperson considers that such notice may be dispensed with. (17) The Chairperson shall call on the member in whose name the new clause stands, and if that member moves the Clerk shall read the marginal note of the clause and it shall then be taken to have been read a first time. (18) The question shall then be put “That this clause be read a second time”. (20) When a bill shall have been settled in Committee the National Assembly shall resume without question put; and the member having charge of the bill shall thereupon report to the National Assembly that the bill has passed through the committee stage, with or without amendments, as the case may be, or that progress has been made therewith. 60. Third Reading of Bills. (1) Subject to the provisions of Standing Order 57 (Suspension of Standing Rules for further reading) and Standing Order 73 (Third Reading of Appropriation Bill), on the resumption of the National Assembly after the conclusion of the committee stage a bill may, on motion made, be read the third time, either forthwith if or at some subsequent sitting. (2) When the motion for the third reading of the bill is to be put the question shall be “That the bill be now read a third time and passed”. (1) If on the third reading of a bill any member desires to amend or delete any provisions contained in the bill or to introduce any new provision, he or she may move that the bill be recommitted, and, if the motion be carried, the National Assembly shall resolve itself into committee and any alteration proposed may be discussed, and the National Assembly may then resume and the bill be read a third time. (2) Verbal amendments may be made previous to the bill being read a third time without the bill being recommitted. (1) The Governor-General may, before a bill passed by the National Assembly becomes law, by a message to the National Assembly require that amendments be made to the bill and such bill shall accordingly be recommitted for reconsideration only of the amendments proposed. (2) Thereafter the bill shall be re-submitted to the Governor-General for assent with the amendments made therein or with such of them as the National Assembly shall approve. The member in charge of a bill standing on the Order Book may move a motion without notice for its withdrawal either before the commencement of Public Business or on the Order of the Day for any stage of the Bill being read. 64. Bills on the same Subject Matter. More than one bill dealing with the same subject matter may be introduced but, once the second reading of a bill has been agreed to or negatived, no question shall be proposed during the same session for the second reading of another bill containing substantially the same provisions. (1) The National Assembly may appoint any of its members to be a Select Committee for the purpose of examining and reporting on the clauses of any proposed bill or for any other purpose, and the National Assembly may also appoint the Chairperson of such Select Committee. (2) In the absence of any appointment by the National Assembly a Select Committee shall elect its own Chairperson, and in the absence of the Chairperson the senior member on the Committee shall act as Chairperson. (3) Every Select Committee shall be so constituted as to ensure so far as is possible, that the balance of parties in the National Assembly is reflected in the Committee. (4) In the event of the death of a member nominated to a Committee, or if his or her seat becomes vacant for any other reason, the National Assembly shall nominate another member in his or her place, and in so doing shall observe the provisions of paragraph (3) of this Standing Order. (5) Unless the National Assembly otherwise directs three members, or, if the number of the Select Committee does not exceed four, two members shall form a quorum. 66. Speaker’s Vote in Select Committee. If the Speaker be the Chairman of a Select Committee he shall have a casting vote if the votes be equally divided, but shall not have an original vote. In the absence of the Speaker from the Chair the member presiding shall have an original vote, and a casting vote if the votes are equally divided. 67. Reports from Select Committees. (1) Every Select Committee shall make a report to the National Assembly upon the matters referred to them before the end of the session in which the Committee were appointed, but if a Committee find themselves unable to conclude their investigation before the end of the session, they may so report to the National Assembly. (2) A select Committee shall have leave to make a special report relating to the powers, functions and proceedings of the Committee on any matter which they may think fit to bring to the notice of the National Assembly. (3) A report or special report together with the minutes of proceedings of a Select Committee and the minutes of any evidence taken before that Committee shall be presented to the National Assembly by the Chairperson or other member deputed by the Committee and shall be ordered to lie upon the table and be printed without question put. (4) The minutes of proceedings of a Committee shall record all proceedings upon the consideration of any report or bill in the Committee and upon every amendment proposed to such report or bill together with a note of any division taken in the Committee and of the names of members voting therein. (5) The report of a Select Committee may be taken into consideration on a motion “That the report of the Select Committee on be adopted”. Any member dissenting from the opinion of the majority of a Select Committee may put in a written statement of his or her reasons for such dissent, and such statement shall be appended to the report of the Committee. (1) There shall be a Committee with the Minister of Finance as Chairperson to be known as the Finance Committee which shall consist of all the elected members of the National Assembly and one nominated member to be appointed by the Speaker. (2) If the seat of the nominated member of the Finance Committee becomes vacant or in case of that member’s unavoidable absence the Speaker may appoint another nominated member to take the place of such member. (3) Subject to the provisions of any law applicable in this territory and to these Standing Orders, the Finance Committee shall examine all special warrants the authorisation of which is provided for under the Finance Administration Act, Cap. 20.13 and such other matters as pertain to the preparation of the estimates. (1) There shall be a Standing Committee of the National Assembly to be known as the Public Accounts Committee. (6) The Public Accounts Committee shall submit its reports to the National Assembly from time to time. 71. Presentation of Appropriation Bill. (1) Any bill containing the estimated financial requirements for expenditure on all the services of the Government for the current or succeeding year shall be known as an Appropriation Bill, and estimates containing the details of the said financial requirements shall be laid on the table when the Appropriation Bill is presented. (2) After the Appropriation Bill has been introduced and read a first time, the motion for the second reading of the bill shall be proposed forthwith, and the Minister of Finance shall make his or her annual financial statement, or budget speech. (3) When the Minister of Finance has made his or her budget speech, the motion for the second reading of the bill shall be seconded, and the debate thereon shall be adjourned to a time to be named by the Minister of Finance. (4) The debate on the second reading of the bill shall be confined to the financial and economic state of the State and the general principles of Government policy and administration as indicated in the bill and the estimates. (5) On the conclusion of the debate the Appropriation Bill and the estimates shall stand referred to a Committee of the whole National Assembly to be known as the Committee of Supply. (6) The deliberations of the Committee of Supply shall be in public. 72. Procedure in Committee of Supply. (1) On the consideration of the Appropriation Bill in Committee of Supply the clauses of the bill shall stand postponed until after consideration of the schedule or schedules. (2) On consideration of the schedules each head of expenditure shall be considered with the appropriate estimate, and any reference in these Standing Orders to a subhead or an item means a subhead or an item in the estimates for the head then under discussion. proposed under the provisions of the next succeeding Standing Order, a debate may take place on that question. (4) Any such debate shall be confined to the policy of the service for which the money is to be provided and shall not deal with the details of any item or subhead but may refer to the details of revenues or funds for which that service is responsible. (5) When all the heads in a schedule have been disposed of, the Chairperson shall put forthwith, without amendment or debate, the question “That the schedule (as amended) stand part of the bill”. (6) When every schedule has been disposed of the Chairperson shall call successively each clause of the bill and shall forthwith propose the question “That the clause stand part of the bill” and, unless a consequential amendment is moved, that question shall be disposed of without amendment or debate. (7) No amendment may be moved to any clause except an amendment consequential on an alteration in the total sum appropriated by any schedule. (8) Any such consequential amendment shall be moved by a Minister only, and may be moved without notice and the question thereon shall be put forthwith without amendment or debate. (9) When the question on the last of any such amendments to a clause has been decided the Chairperson shall forthwith put the question “That the clause as amended stand part of the bill” and that question shall then be decided without amendment or debate. (10) When the question upon every clause of the bill has been decided, the Chairperson shall put the question to the National Assembly that the bill (as amended) be reported to the National Assembly, which question shall be decided without amendment or debate, and upon such question being agreed to, the National Assembly shall resume, and the member in charge of the bill shall report it to the National Assembly. 73. Amendments to Heads of Estimates in Committee of Supply. (1) An amendment to any head of expenditure to increase the sum allotted thereto whether in respect of any item or subhead or of the head itself may only be moved by a Minister who shall signify to the Committee the recommendation of the Governor-General to the increase in accordance with paragraph (a) of subsection (2) of section 20 of the National Assembly Elections Act, Cap. 2.01. (2) Every such amendment shall take the form of a motion “That head ……………..
(3) An amendment to increase a head whether in respect of any item or subhead or of the head itself shall take precedence over an amendment to reduce the head in the same respect, and if it is carried no amendment to reduce the head in that respect shall be called. subhead …………………… , item ……………………… item …………………………… ”. (5) An amendment to reduce a head in respect of any subhead or by leaving out a subhead shall only be in order if the subhead is not itemized. (6) An amendment to reduce a head without reference to a subhead therein shall only be in order if the head is not divided into subheads. (7) An amendment to leave out a head shall not be in order and shall not be placed on the Order Paper. (8) In the case of each head, amendments in respect of items or subheads in that head shall be placed upon the Order Paper and considered in the order in which the items or subheads to which they refer stand in the head of the estimates. (9) When notice has been given of two or more amendments to reduce the same item, subhead, or head they shall be placed upon the Order Paper and considered in the order of the magnitude of the reductions proposed, the amendment proposing the largest reduction being placed first in each case. (10) Debate on every amendment shall be confined to the item, subhead or head to which the amendment refers, and after an amendment to an item or subhead has been disposed of, no amendment or debate on a previous item or subhead of that head shall be permitted. (12) The debate on any such question shall be subject to the same limitations as apply to a debate arising under paragraph (4) of Standing Order 72 (Procedure in Committee of Supply). 74. Third Reading of Appropriation Bill. (1) As soon as the Appropriation Bill has been reported to the National Assembly, a Minister shall move a motion that the Bill be read a third time and passed. (2) Such motion shall not require to be seconded and shall be decided without amendment or debate. Where an Appropriation Bill is introduced in pursuance of the requirements of section 6 of the Finance Administration Act, or otherwise the procedure set out in Standing Orders 71, 72, 73 and 74 shall be followed as far as it applies. (1) Every bill intended to affect or benefit some particular person, association or corporate body, shall contain a section saving the rights of Her Majesty, Her Heirs and Successors, all bodies politic and corporate, and all others, except such as are mentioned in the bill, and those claiming by, from or under them. (2) No such bill, not being a Government measure, shall be introduced into the National Assembly until due notice has been given, at the expense of the promoters, by not less than three successive publications of the bill in the Gazette and in some newspaper circulating in the State, and where any particular premises are affected until after a copy of the bill has been affixed to the police station nearest to such property for not less than three weeks. (3) Proof that the requirements aforesaid have been complied with shall be made by solemn declaration to the satisfaction of and deposited with the Clerk. 77. Cost of Private Bill. All bills, other than public bills, must be prepared and printed at the expense of the parties by whom they may be introduced. 78. Premature Publication of Evidence. 79. Employment of Members in Professional Capacity. 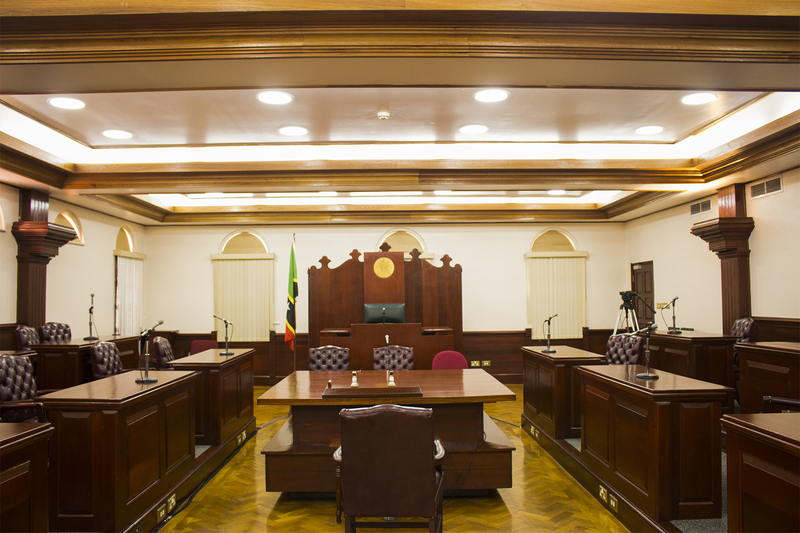 No member of the National Assembly shall appear before the National Assembly or any Committee thereof as counsel or solicitor for any party or in any capacity for which he or she is to receive a fee or reward. (1) An Official report of all speeches made in the National Assembly shall be prepared under the supervision of the Clerk, acting under such instructions as the Speaker may give. (2) The report shall be published in such form as the Speaker may direct, and a copy thereof shall be sent to each member as soon as practicable. (1) Strangers shall be admitted to debates in the National Assembly under such rules as the Speaker may make from time to time for that purpose. (2) If, at any sitting of the National Assembly, any member shall move that strangers withdraw, the Speaker shall forthwith put the question “That strangers do withdraw” without permitting any debate or amendment. (3) The Speaker may, whenever he or she thinks fit, order the withdrawal of strangers from any part of the Chamber and its precincts, and may order the doors of the Chamber to be closed. (4) Strangers shall withdraw from the Chamber and its precincts when called upon to do so by the Speaker. (1) The Speaker may grant a general permission to the representative of any Journal to attend the sittings of the National Assembly under such rules as he or she may make from time to time for that purpose. (2) If such rules are contravened, such permission may be revoked. 83. Suspension of Standing Orders. Any one or more of these Standing Orders may, after notice, or with the leave of the Speaker, be suspended on a motion made by a member at any sitting. 84. Amendment of Standing Orders. (1) Unless the Speaker shall otherwise direct, not less than seven days’ notice of a motion to amend the Standing Orders shall be given, and the notice shall be accompanied by a draft of the proposed amendment. (2) The motion shall be set down for the earliest sitting after the expiration of the notice. (3) When the motion is reached, the mover shall move the motion, and after it has, if necessary, been seconded, the motion shall be referred forthwith, without any question being put thereon, to a Select Committee, and no further proceedings shall be taken on any such motion until the Committee has reported thereon. 85. Rules in Cases not Provided for by Standing Orders. (1) In any matter not herein provided for, resort shall be had to the usage and practice of the Commons House of Parliament of Great Britain and Northern Ireland, which shall be followed as far as the same may be applicable to the National Assembly, and not inconsistent with these Standing Orders nor with the practice of the National Assembly. (2) In cases of doubt, the Standing Orders of the National Assembly shall be interpreted in the light of the relevant usage and practice of the House of Commons, but no restrictions which the House of Commons has introduced by Standing Order shall be deemed to extend to the National Assembly or its members until the National Assembly has provided by Standing Order for such restriction. will be faithful and bear true allegiance to Her Majesty Queen Elizabeth the Second, Her Heirs and Successors, according to law. So help me God. sincerely affirm and declare that I will be faithful and bear true allegiance to Her Majesty Queen Elizabeth the Second, Her Heirs and Successors, according to law. The evidence taken before any Select Committee and any documents presented to such Committee shall not be published by any member of such Committee or by any other person before the Committee have presented their report to the National Assembly. Contact can be made to the Clerks through the Attorney General’s Office.